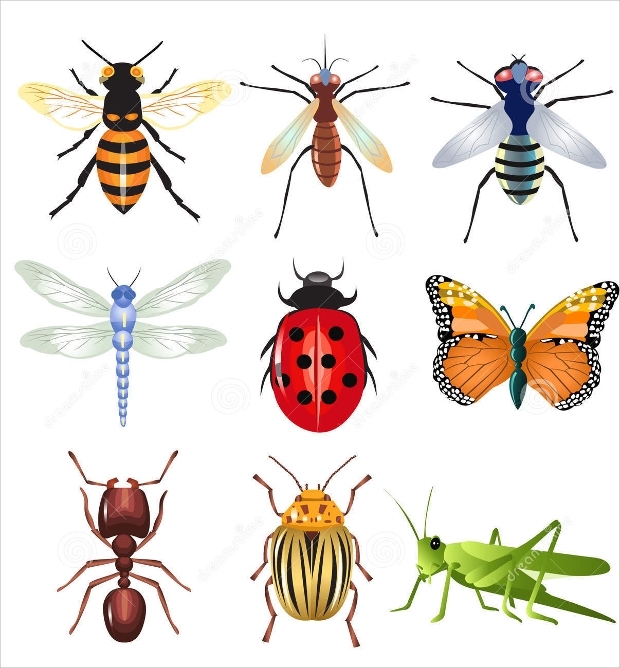 Insects are among the most populous organisms on earth. These small organisms have significantly influenced the world of graphical and web designing. Most insects come with spectacular natural beauty that designers find really inspiring. 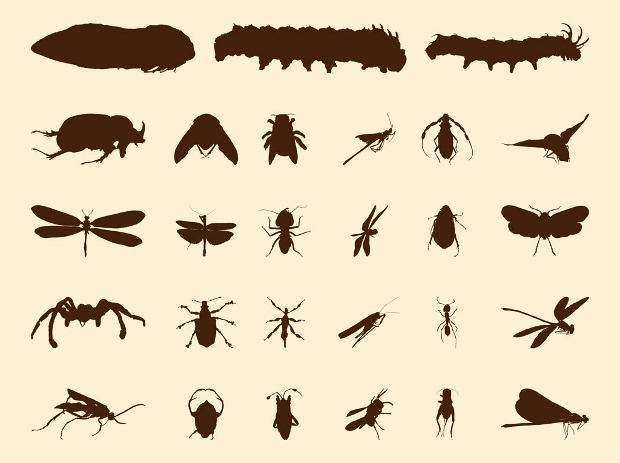 The immense value of vectors in insect-inspired design projects is something that every designer knows well. 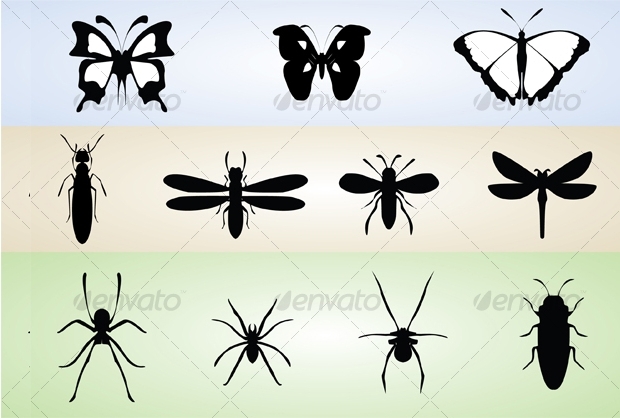 Butterfly vectors are especially important in creating beautiful, insect-themed artworks. 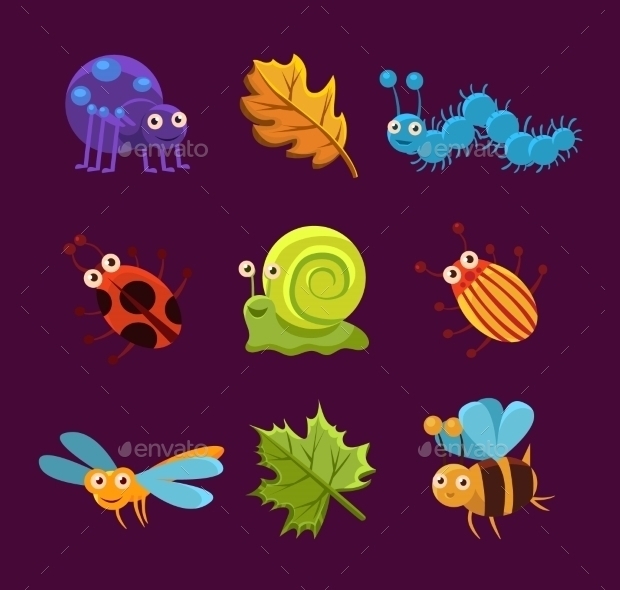 Today, we have compiled this great collection of vectors specifically for your assorted nature-related design projects. 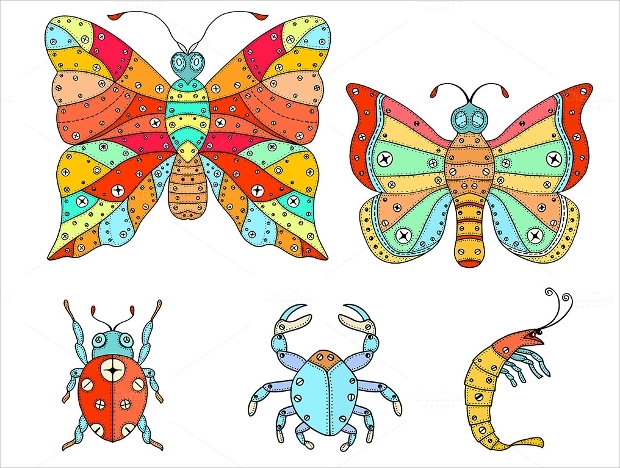 This colorful vector design featuring a ladybug, dragonfly, ant and a bug looks stunningly gorgeous. 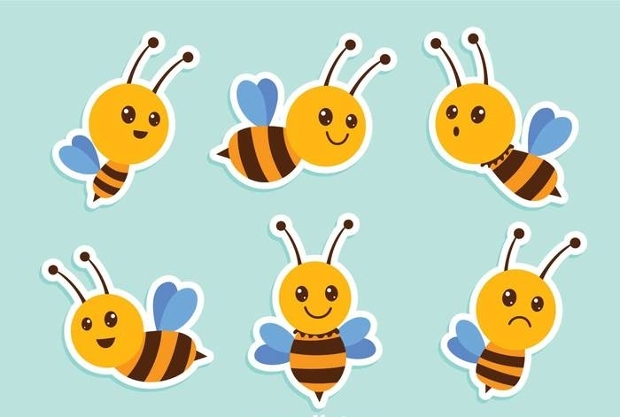 The colourful bee and the nice pink flower elements add to the beauty of these vectors. 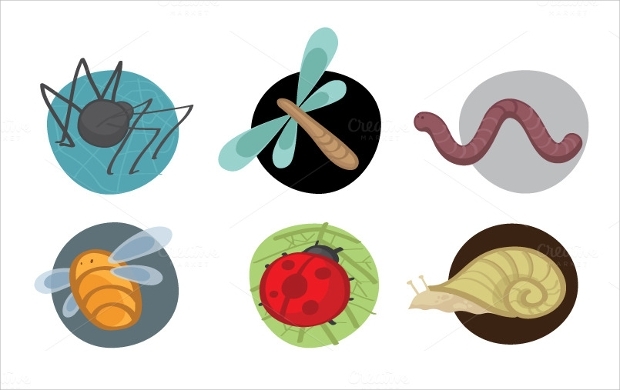 You can obtain these vectors as vector EPS, transparent PNG or JPG image. 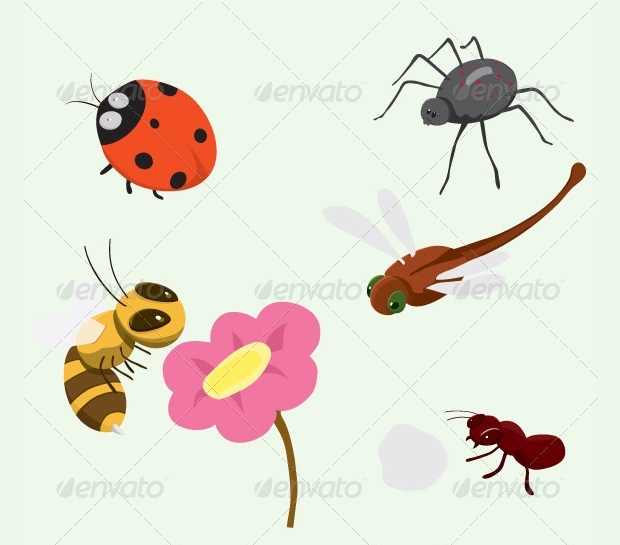 This hand-drawn insect vector illustration featuring brightly colored winged insects and some beautiful marine organisms comes with some element of uniqueness that will definitely go well with your nature-related graphic or web design projects. It is downloadable as JPG or EPS. 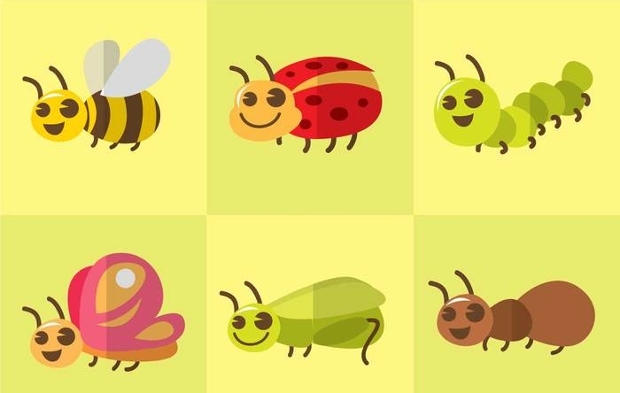 This assortment of colorful insect vectors looks awesome! 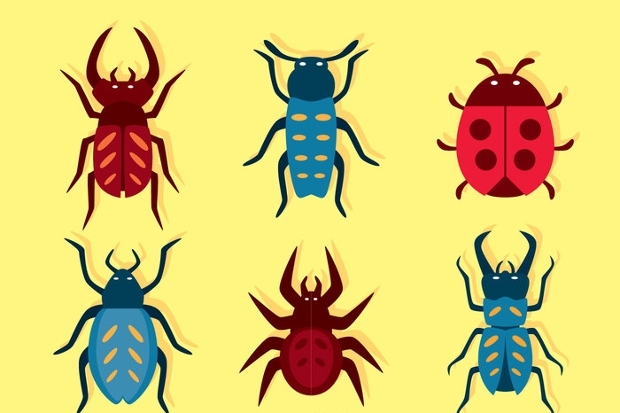 Whether you would like to use the brown cockroach, the beautifully red and black spotted ladybird or the gorgeous blue-winged insect vector, your nature-related design projects are likely to stand out awesomely. This set of highly gorgeous plants and insects is really ideal for your nature-themed design project that requires some unique touch of aesthetic splendor. Available as EPS files, these vectors are really easy to use in artwork. 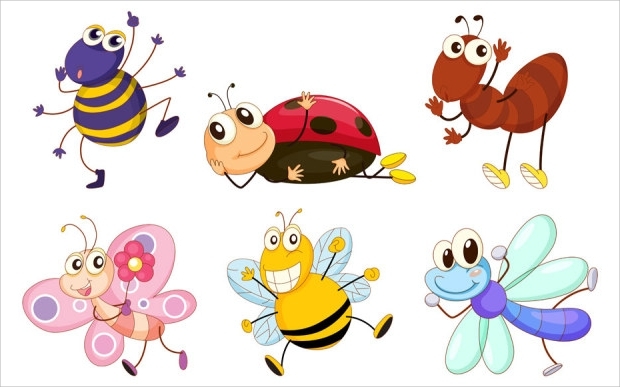 This set of vector illustrations features beautiful insects with emoticons and leaves. 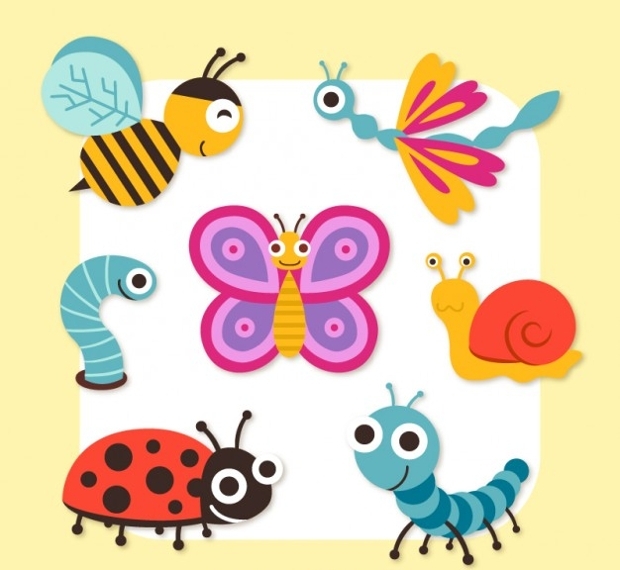 These vectors can be good for your nature-related, spring or summer-themed design projects. You can get all these beautiful designing tools as JPG image or Vector EPS files. 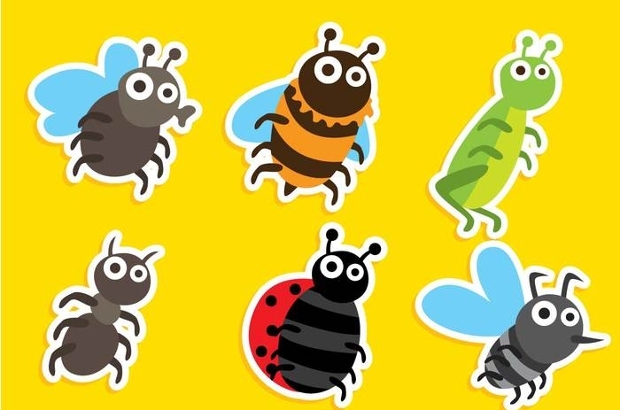 The insect designs in this vector collection look really comical! 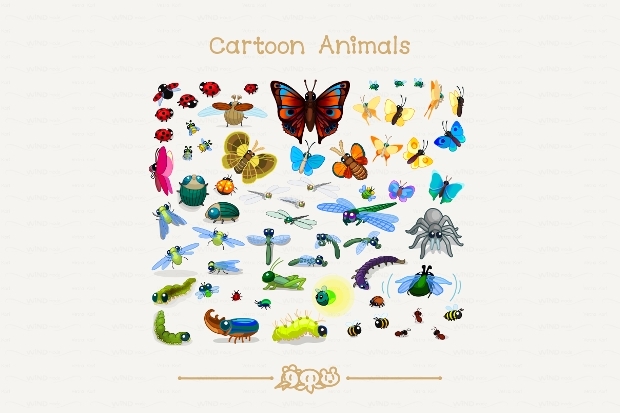 They are quite ideal for use in your next nature-themed insect cartoon artwork. These beautiful vector art can be downloaded as EPS file, high-resolution PNG file on a transparent background or JPG file. 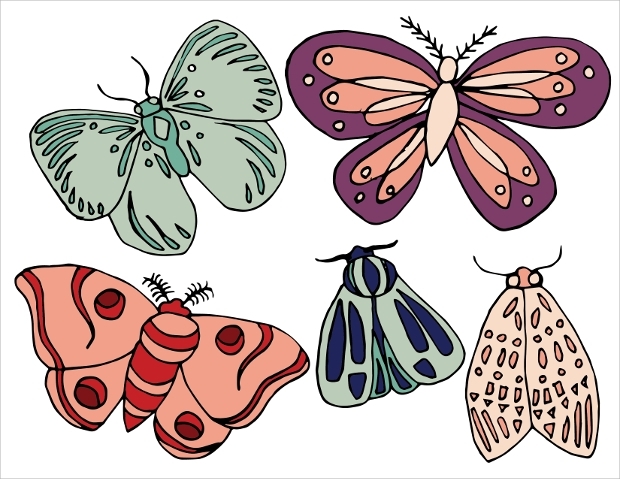 Featuring three butterfly silhouettes and a cluster of other crawling insects such as bugs, these vectors can prove to be cool for your nature or insect-themed designing tasks. You just need Photoshop CS to work with these beautiful design tools. 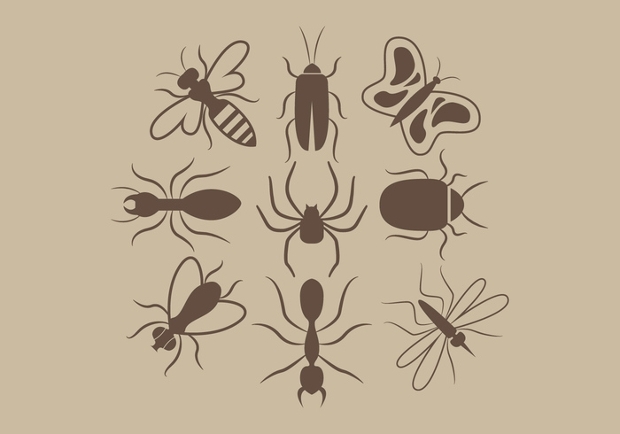 Featuring linear and black insect silhouettes, this collection of vectors including mosquito, dragonfly, ladybug, grasshopper, etc is ideal for your insect-related design projects. 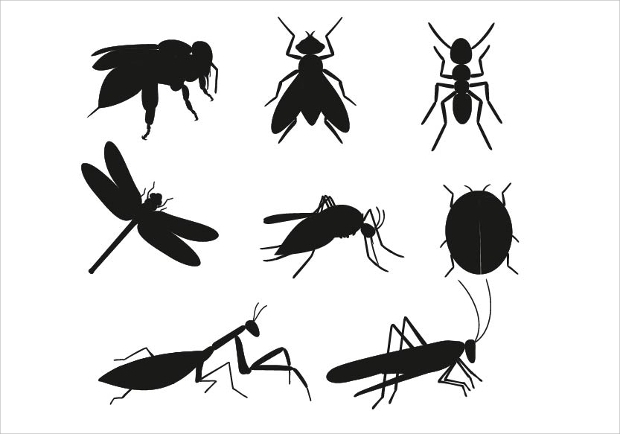 The contrast created by these isolated black insect silhouettes on a white background is particularly impressive. It is obtainable as editable EPS or JPG file. 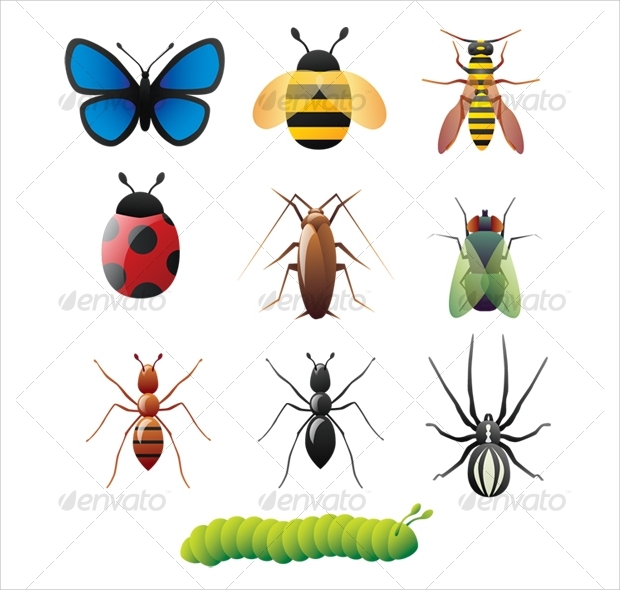 This set contains a range of mysterious insects that can be ideal for giving your design projects an element of uniqueness. 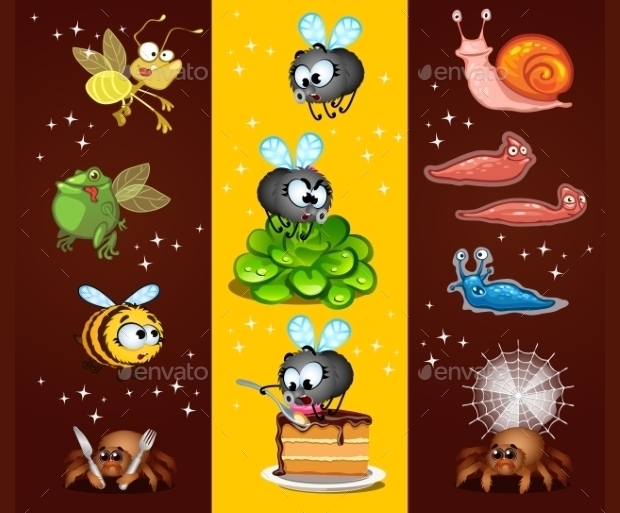 Whether it is a birthday or party invitation, these colourful insect vectors can give the design an impressive cartoonish aspect. 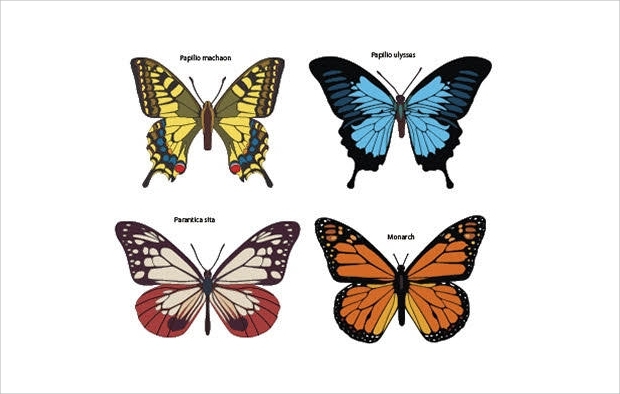 The versatility of this collection of insect vectors featuring beautiful butterflies is pleasing. You can use them on a wide array of projects. They come with a splendid 300 DPI resolution and downloadable JPEG and PNG files. 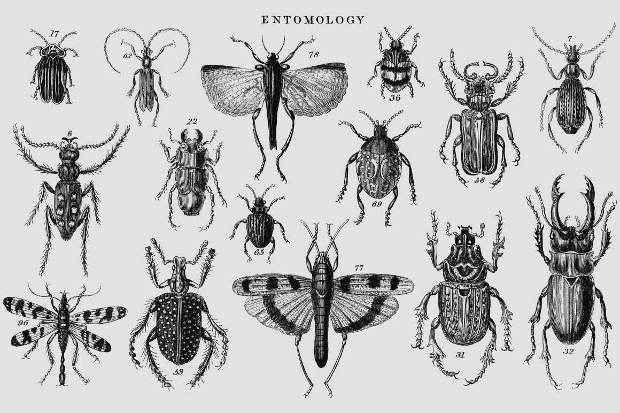 We hope you have found the above insect vectors quite fascinating and ideal for your insect-inspired artwork designs. Besides the popular fish vectors and bird vectors, these are also some of the greatest animal vector designs that designers use in their day-to-day nature-related design projects. Make a point of using them in your next nature or insect-related design project and the viewers are likely to find it awesome!